Sooner or later, the beautifully laid down landscape will deteriorate. That's why in our landscape design and installation, we always make sure that the client will render as little maintenance as possible. However, it is impossible to never do maintenance at all because it is simply a necessity. Plants may wither, shrubs and trees needs to be trimmed, and the lawn need to be mowed regularly. These are only some of the tasks that you need to do if you have a landscape. But the problem is that most homeowners are busy and maintenance duties are never included in their priority. 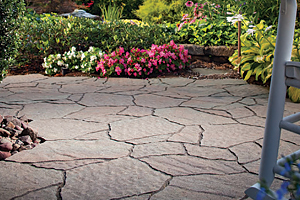 With Landscape Magic, there is no need to spend your precious time doing maintenance. Our landscape management service team will do that for you. The modern landscape has to have outdoor living spaces like an outdoor kitchen and BBQ, outdoor living room with fireplace or fire pit, and a gazebo or patio. In our landscape management services, we ensure that the practical function of such amenities is preserved. We will be responsible for keeping the areas welcoming, convenient, safe and fun for everyone. A variety of tasks is done to achieve this goal. It may include tasks as simple as resealing the paver floor of the outdoor kitchen or as elaborative as adding a glass wall around the patio. 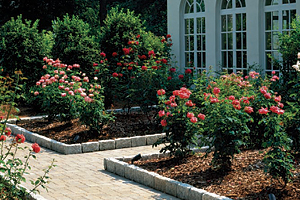 Landscape Magic believes in a sustainable and environment-friendly landscape. Part of our landscape management approach is to slowly but surely replace the unhealthy systems in the area with healthier ones. For instance, we can replace the water-consuming irrigation system with a rainwater harvesting system. It's also possible to replace the power-hungry landscape lights with low-voltage ones. Taking good care of plants is also part of our landscape management job. We'll make sure that flowers will bloom when they are supposed to bloom, and that trees are always as healthy as they should be. Mowing, trimming, and fertilizing are basic jobs to keep plants healthy. Problem plants might occur, but with our landscape management services, we can immediately treat them or totally replace them. Prevention is always better than cure, as they always say in healthcare. That's also true in landscape management. With our years in the industry, we know the possible problems that might happen in a landscape, and we take care of them before they become real problems. However, even the best preventive maintenance cannot stop the rare need for repair. Don't worry about that because we are skilled and experienced in repair as part of our landscape management job. Don't wait until the landscape becomes a total disaster. Sign up today. We can arrange the regular check-up and maintenance tasks for the landscape. Do not hesitate to call us in case of emergency repair. That may not be part of our complete landscape management job. But we'll be more than willing to be of service to any landscape owner in Arizona.